The English word, "fantasy," sprang from Old French's phantasie, or "vision, imagination." But you wouldn't be entirely remiss if you'd thought that it came from the word, "fantastic." When you consider all the fantastic things in our world and our imaginations, it's no wonder there are so many different subgenres in fantasy — and dedicated readers of each subgenre. How did we get from there to fantasy's current, steadfast position in mainstream English literature? Enter two names that you might’ve come across before: C.S. Lewis and J.R.R. Tolkien. Of course, Lewis was the more prolific of the two. Starting with The Lion, The Witch and the Wardrobe, Lewis published seven popular books in seven years. His imaginary Narnia was a whimsical universe. It stuck to the perception of the time that fantasy belonged in children’s books. 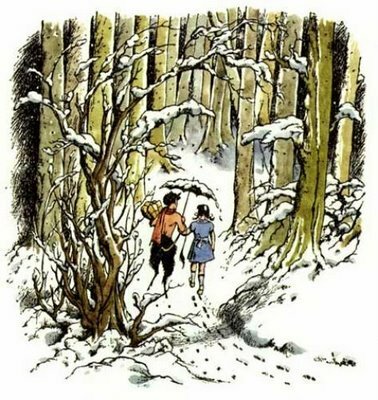 But it was Lewis’ Narnia that began popularizing fantasy among the broad public up until the 1950s, which is when Tolkien published Lord of the Rings. Today, it’s practically impossible to overstate Tolkien’s impact on the genre. 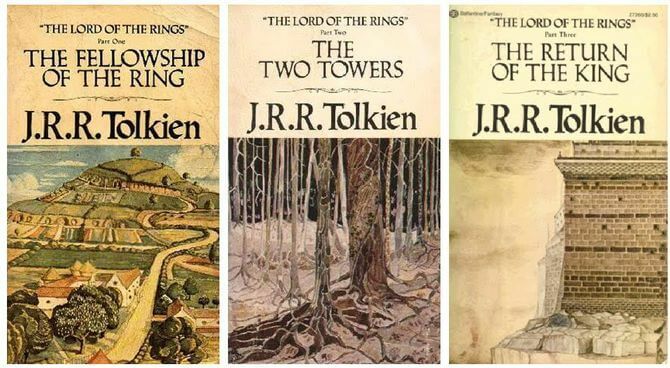 There’s no author who towers over one genre as Tolkien does — up to the point where you need to talk about the genre in pre-Tolkien and post-Tolkien terms. In what ways did Tolkien contribute to the genre? Well, pretty much of all of them. Silmarillion cemented the trope of the creation myth. The Hobbit, with its talking animals and simplistic themes, epitomized children’s fantasy and fairy tales. Lord of the Rings towers over all of fantasy. It established (among others) these tropes in High Fantasy: the quest, the band of good guys, the wise mentor, good against evil, the Dark Lord, and the trilogy. Above all, Tolkien invented tongues and an entire self-contained mythology, imbuing it with life. The constant whimsy that carried Alice in Wonderland or L. Frank Baum’s Oz books wasn't present in Lord of the Rings. That made Middle Earth seem as though it was a universe that actually existed before Earth. Good news! Here are 12 of the best epic fantasies to tide you over until the next Game of Thrones installment comes out. The thing is that most people who read Tolkien only once tend to forget who was who. What they do remember is Middle Earth itself. It’s got all the properties – the soul and the presence, the depth, the personal quirks, and the feeling of an existence outside the books – that Tolkien’s characters so often miss out on. Those of us who read the books many times come away again in awe of this achievement. Along the songlines of Middle Earth, Europe’s dreamtime comes alive. Kerr also argued that fantasy authors needed to move on from the Master, in part because of one small flaw: Tolkien’s characters could too often be boiled down to archetypes in Capital Letters (The Dispossessed King, The Evil Lord, The Mighty Wizard). But Tolkien put down the stones and built up the walls for the genre. His genius was a bit of a double-edged sword: paving a way for the future of fantasy, but casting a shadow as big as Mount Doom’s, to this day. How did authors that came after Tolkien emerge from it? So one author just re-defined the whole genre. What do you do now? Well, some fantasy writers seemed to draw their inspiration direct from Lord of the Rings. (See: Terry Brooks’ Sword of Shannara in 1977). This continued Tolkien’s brand of sword-swinging and quest-intense fantasy that furthered epic fantasy. He wasn’t the only author who wrote with this thought in mind. 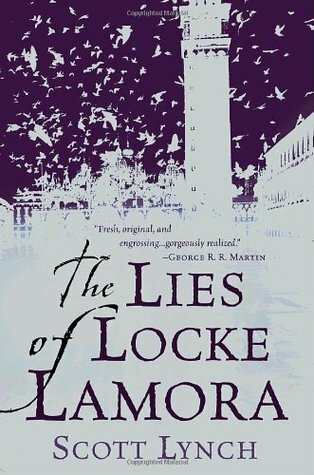 Joe Abercrombie’s First Law series and Scott Lynch’s Gentleman Bastards series all produced bleaker, bloodier, more realistic and morally ambiguous scenarios — birthing the grimdark subgenre. Then there was Ursula Le Guin. In Earthsea, she made a universe that rivaled Tolkien's for fullness and complexity while populating it with characters that were diverse and relatable. Tor's Michael Swanwick once asserted that "trying to measure Le Guin's importance to the field like trying to figure out what salt means to the sea." But the imaginations of our writers stretched the definition of fantasy still more. Urban and paranormal fantasy (if a troll, a wizard, and a goblin walk into a bar in New York . . . ) was the result of authors scramming out of medieval forests entirely. Instead, they put the supernatural right in our own cities. Neil Gaiman's Neverwhere wondered whether there could be a "London Below," while the popularity of Anne Rice’s 1976 Interview With The Vampire foreshadowed the coming success of a certain glittering vampire in the 21st-century. Spoiler alert: that's Twilight. What else? Historical fantasy grew in the 1970s, and there's steampunk fantasy, which crossed with science fiction to produce a new scope of imagination... the tally goes on. Currently, there are a gazillion fantasy subgenres that've splintered out. And yet fantasy was still considered a relatively niche genre up until the turn of the millennium. So it's curious that it seems to actually be young adult and children’s fantasy (something called Harry Potter, in particular) that changed all of that. 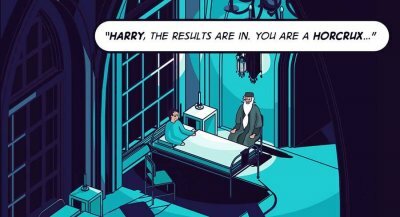 First, Harry Potter got everyone reading fantasy. Then the genre really sprang into popular culture when the advent of CGI took fantasy from our books to our silver screens. Suddenly, the worlds that we could only envision in our minds were right in front of our eyes. In 2002, Peter Jackson captured the attention of both readers and non-readers with the Hollywood adaptation of Lord of the Rings. Then Game of Thrones started showing up on our televisions every week, and that, as they say, is that. Where will fantasy go now? We mentioned it already, but we’ll mention it again. There really is no better time to write fantasy. When you think about it, the biggest pop culture phenomena since the turn of the millennium almost all have ties to fantasy: Harry Potter, Game of Thrones, Twilight. Even The Hunger Games is a dystopian fantasy, set in an entirely imagined (albeit terrifyingly bleak) world. Looking back now, it’s easy to see the many ways that the genre’s evolved since the days of Tolkien. Consider The Hobbit, which possessed a grand total of zero women. Then take a gander at all the girls who are mainstays in the most popular fantasy books now (Hermione, Katniss, Triss). Further genre- and subgenre-blurring. Fantasy already overlaps with romance, mysteries, and thrillers — and we’ll see much more of fantasy’s influences in other genres as the spectrum of writers and readers continues to broaden. Fantasy traditions of other countries will impact the stories of the Anglophone world. Russia, for instance, recently pioneered the increasingly popular "LitRPG" genre, where the stories take place in worlds with video-game mechanics. 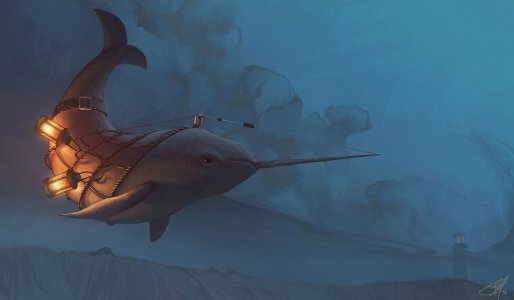 Has this post inspired you to write fantasy of your own? Tell us about your ideas in the comments. And if you want to get an even more concrete idea of fantasy's evolution, check out this post of the 100 best fantasy series of all time. 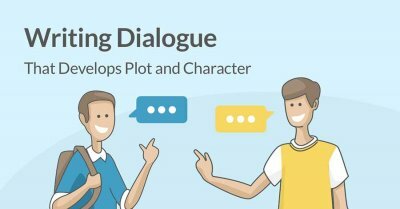 Writing Dialogue That Develops Plot and Character. 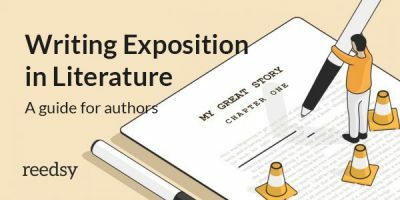 Learn to write dialogue that's believable and that develops your story's characters and plot. I grant you, this is meant to be a history of English fantasy. But I don't see how you manage to write such a post without once mentioning Ursula Le Guin. Or Neil Gaiman, for that matter. It seems like the purpose of this article is more to show how much fantasy changed when Lewis and Tolkien altered the course of the genre. Ursula Le Guin and Neil Gaiman absolutely were influential authors in the genre, but I believe Reedsy's point is that they were more riding the wake of the Inklings. As in, would their works even have come to be imagined and writ if not for the works of the others before them? And to argue their need to make the list based on a claim of fairness, one would need to argue for many other authors as well. Since Le Guin was writing fantasy and SF in the early 1960s and late 50s, she deserves to be mentioned as one of the people who changed it. She did. To my mind, she is close to being up there with Tolkien, while many of the authors mentioned are not. Of course, tastes vary! Excellent point haha I'm actually one of the rare people who didn't enjoy Game of Thrones (I stopped before even finishing book 2). Great summary, thanks for posting! I've been obsessed with fantasy since I was a young boy and popped in the cartridge of Legend of Zelda Ocarina of Time into my Nintendo 64. My first love was role-playing video games, my second was the Harry Potter books and my third was the Lord of the Rings movies. My first attempt at writing fantasy came when I was in grade six where I scribbled on line paper the first ideas I had. I can't remember the story very well but I remember It started it off with a chapter of foreshadowing- before I even knew what foreshadowing was. Later In grade seven I wrote a six page fantasy story for my English assignment which received a glaring F.
What did I do from here? I researched. 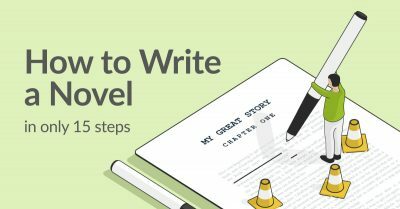 I tried to understand what made a great story and I surfed through hundreds of articles just like this one before I finally found the confidence to continue writing. I took out my trusty tablet, I scrapped my original story for everything good in it and I began to write once more. No matter how bad it got, I continued writing. After a few months I finally finished the rough draft of my first fantasy novel, a whopping 125,000 words long. Now this leads me to the present time where I haven't typed a single word into the good copy but have spent weeks and weeks slowly editing and building my glossary. 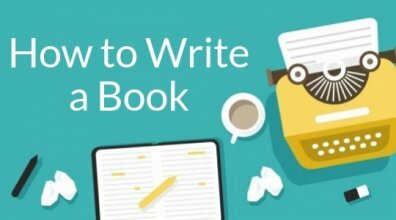 I realized my own strengths and flaws as a writer but I found that I thoroughly enjoyed the experience. Sometimes I feel like I can't be a successful author because of my lack of mastery for the trade. 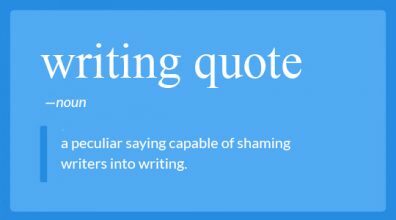 I frequently make grammatical and spelling errors, I had no idea who Ursula Le Guin is until just now, I still have trouble remembering which is high fantasy and which is low.... and yet I still write. I still pursue. I still dream. The point of this dribble? I really have no idea.